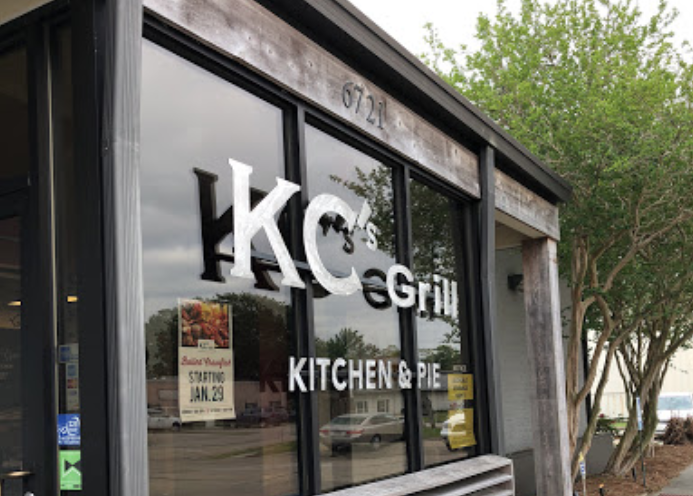 KC’s Grill, a popular breakfast and lunch spot on Exchequer Drive, has closed—a little more than a year after opening in the space that previously housed another beloved but short-lived eatery, City Pork Kitchen and Pie. Building owner Donnie Jarreau says the closure is not a reflection of the neighborhood or the 5,000-square-foot space, where the restaurant had been operating since December 2017. On the contrary, he says KC’s was doing “an unbelievable business” but that owner Kenny Carr and his business partner in the venture decided late last year to part ways and close the establishment. Carr could not be reached for comment. The building that was home to KC’s Grill is different than others in the Industriplex area because it’s the only building not deed restricted and allowed to serve food, according to Jarreau, who bought the building for $675,000 shortly after City Pork closed in August 2017. It had been in business for less than two years. Prior to City Pork, space was occupied for several years by Samuel’s Restaurant. Given the demand for a breakfast and lunch spot among the rows of flex space office buildings, Jarreau says he is hopeful he’ll be able to attract another restaurant tenant.